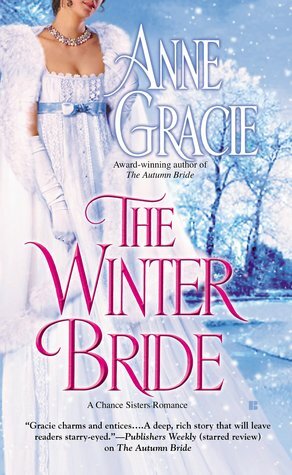 After reading and absolutely loving the Merridew Sister series by Anne Gracie, I knew I wanted to read her Chance sisters series ASAP. I was not disappointed!! 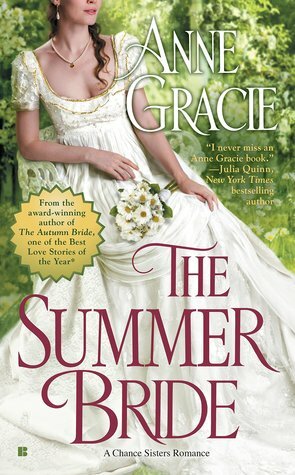 I am convinced Anne Gracie is historical romance's best kept secret. I have no idea why more people aren't talking about her and obsessing over her books. They are spectacular! This book is no exception. As with the others, the writing is fluid, easy to get into, and keeps you turning the pages. There is an effortlessness to reading these books that make them so fun and easy to read. Another defining characteristic of her books is her strong female friendships. The women in these books are not sister by blood, as you find out in the first chapter, but they are sisters of the strongest bonds nonetheless. I love, love, love, love how she writes such fantastic female relationships. While the romance is strong, very strong, it is the unique and deep bonds of all these amazing females that wanted me to keep reading. I wanted each other them to find their happily ever after. Ok, so the romance. 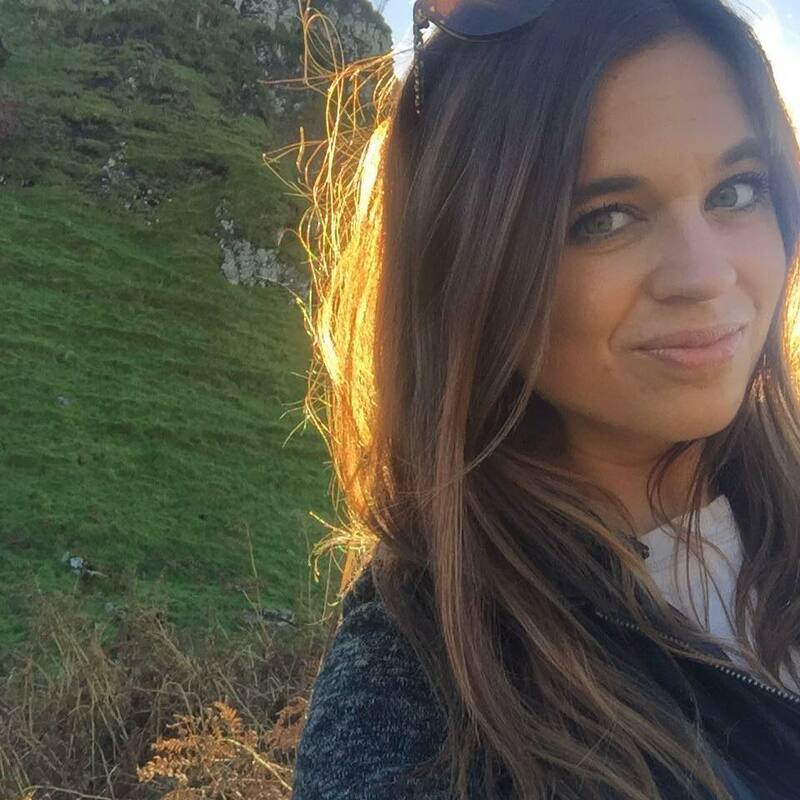 Abby is a strong young woman trying to take care of her sisters when she finds herself as a "niece" to a hilarious older woman who has a nephew abroad. When he comes back, hilarity ensues. Max does not understand Abby and is positive she is up to no good. Their banter and plots to take down one another are great. I loved everything about this and I am so excited to see the rest of the girls and few of Max's friends get their happily ever after! Have I mentioned I love this series? I LOVE THIS SERIES! I was so incredibly excited that Damaris' story was next because I felt drawn to her story in the first book. I had to know more about her and the horrific past we know she had that brought her from China to England. Add in to that mix that her hero is the man who very vocally refuses marriage and everything about it, I knew I was in for a great story. And I was not disappointed. Freddy and Damaris were so perfectly suited. Their shared desire to avoid marriage was the exact thing that brought them together for Freddy to avoid his overbearing parents. I loved their "courtship" and how they saw one another as the exception to their hard limit rule. I thought the tenderness that Freddy showed and Damaris inevitable vulnerability with him was beautiful. I also always appreciate when the conflict of the story is more within the psyche of the two characters rather than external forces. Again, this story kept me turning the pages and I cannot wait to see further from these sisters of Chance. This series is gold. 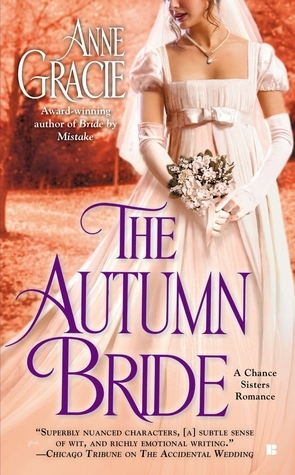 Serious historical romance gold. The story of Jane and her pseudo gypsy Zachary Black was one of just the right amount of angst and miscommunication. I'm not usually a fan of angst or silly cracks in communication but this one was done perfectly. I loved for once that the woman was the one desiring a marriage of convenience in order to secure her future and wanting nothing to do with love. 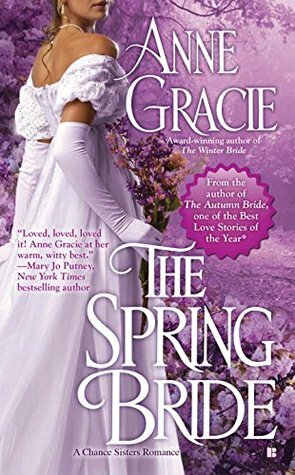 I loved Jane's characters and her strong need to make a good marriage--aka rich--to have children grow up well taken care of. I completely understand her hesitation in taking a chance--see what I did there?--on Zach. Zach was a fantastic hero of unfortunate events. He just couldn't catch a break but I loved his character. A great man, especially when he was young but no spoilers from me, and a perfect emotional counterpart to Jane. I loved how everything came together and seriously cannot get enough of this family of Chance! Finally! The long-awaited story of Daisy!! SO excited to find out her hero was Flynn! Ahh! I loved this book! I love every book in this series but the ending of this book in particular seriously tugged at my heartstrings and made me so sad to say goodbye to these phenomenal characters! But let me get back to Daisy and her Flynn. I love Daisy. Unapologetically herself. Independent. Strong. Ambitious. Fierce. She is a person you want on your side and her drive and talent as a dressmaker to own her own shop is one of my favorite things about her. I loved seeing her dream become a reality and more than that, seeing her realize she had dreams she never knew she wanted. Her chemistry with Flynn was hotachacha and these two together were on fire! Their dynamic and banter was hilarious and 100% organic and down to Earth. I loved that these two people who have been through so much hurt and heartache in life, who fought for everything they have, came together and found love. It wasn't easy but that's what makes it fun. I loved Daisy being strong yet allowing herself to eventually open up to Flynn. And like I said, the ending? Amazing. I am so incredibly sad to say goodbye to these characters. As with the Merridew sisters, I know this family will live on in my heart for a long time and will definitely be frequent rereads. So basically, what I'm getting here is that you think I really need to read this series. No, but seriously, this sounds amazing! I'm all for reading historical romance series that feature strong female friendships, and this sounds like one of those series. So happy to hear that you loved it!